CORONA, Calif., (February 10, 2012) – Monster Energy/Pro Circuit/Kawasaki’s Broc Tickle and Dean Wilson are headed to Qualcomm Stadium in San Diego for the sixth round of the 2012 Monster Energy Supercross Championship series. Teammate Tyla Rattray will sit out for the next few weeks as he recovers from injuries sustained during his heat race at the Oakland round of the Supercross Lites West series. 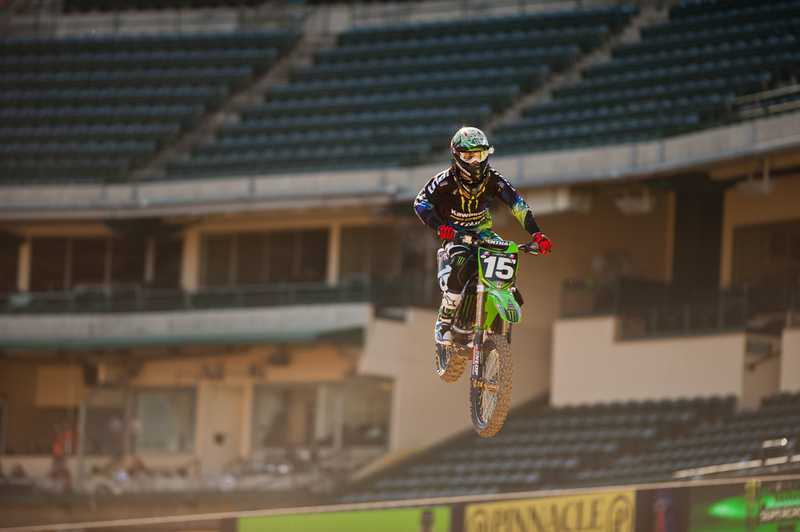 Tickle scored his second top-ten finish of the season in the Supercross Class last Saturday at Anaheim, and has plans to keep that momentum going for the race this Saturday at Qualcomm Stadium. 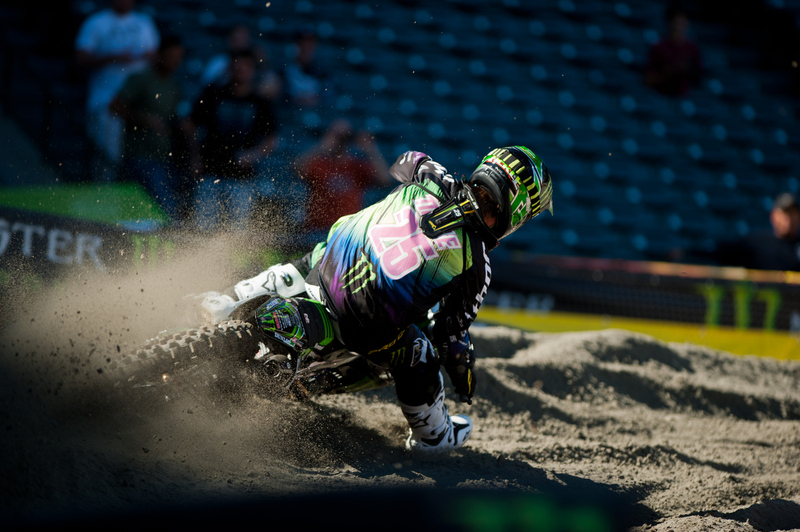 Wilson finished just off the podium in fourth last Saturday in Anaheim, and is looking to get back on the box this weekend in San Diego. 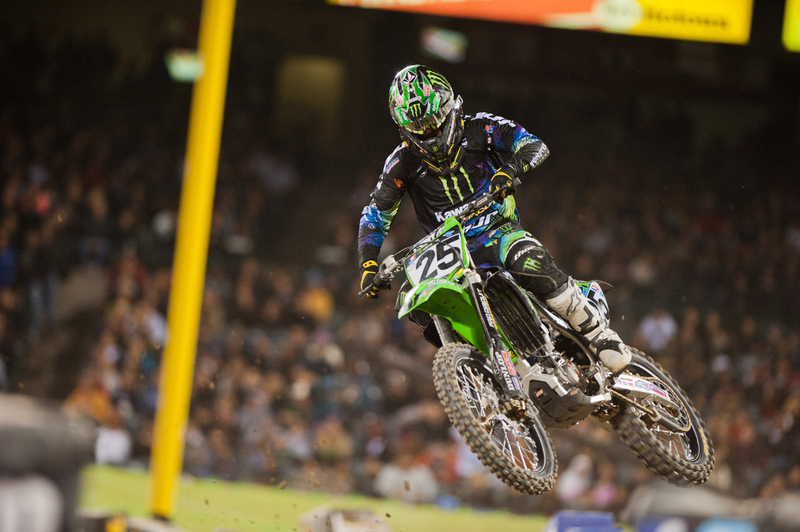 The Monster Energy/Pro Circuit/Kawasaki boys will be at San Diego’s Qualcomm Stadium this Saturday, February 11th, for the sixth round of the Monster Energy Supercross Championship. 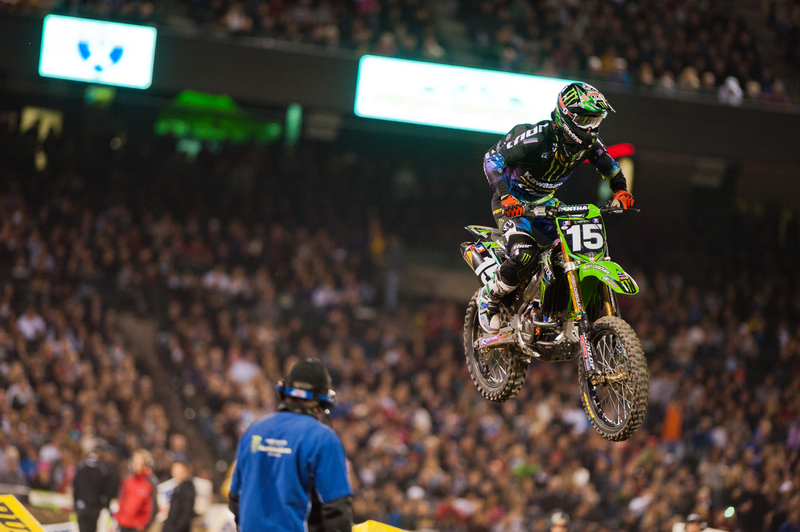 Wilson stays in second overall with 91 points in the Supercross Lites West Region, and Tickle stays at 14th with 41 points in the Supercross Class. We’re social! Make sure you follow us on Facebook and Twitter for the most up-to-date info on the Monster Energy/Pro Circuit/Kawasaki team.